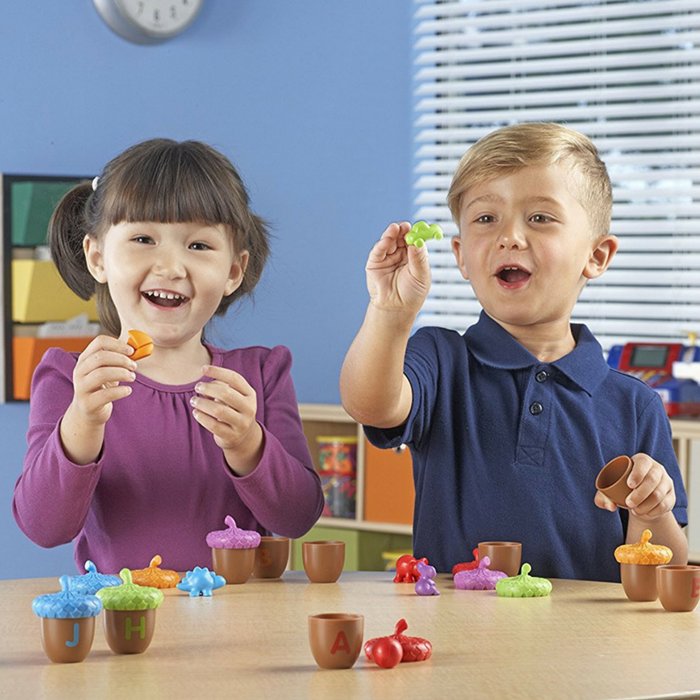 Alphabet Acorns 78-Piece Activity Set Just $16.99! Down From $30! You are here: Home / Great Deals / Amazon Deals / Alphabet Acorns 78-Piece Activity Set Just $16.99! Down From $30! Amazon is currently offering this Alphabet Acorns 78-Piece Activity Set for just $16.99 down from $29.99 PLUS FREE shipping with Amazon Prime or for orders over $25! A unique twist on matching games! Kids will learn letters and the alphabet as they put the acorns together by matching upper- and lowercase letters. Inside each acorn is a little surprise – a vibrant color counter. Kids can stack the ABCs in order, or just make up their own game. This deluxe set includes 26 acorns and 26 counters. This is a great gift idea this Christmas for kids! Bottoms of acorns feature written letters—tops have matching colors. Kids will learn as they match them together!